About us - Spancept Inc.
SPANCEPT is a business consulting firm working with Small to Medium Enterprises (SME). We are dedicated to working with SME in getting their presence felt by putting them in front of consumers looking for their services or products. We are a results-oriented company with a blend of cutting-edge, outside-the-box, custom solutions to optimize your performance and shape your profitability. We help SMEs who are concerned that they are missing opportunities to grow their business online. Many business owners see the internet as a great source of leads, but are confused as to the best way to approach it, and have been put off by technical jargon that they typically hear from internet experts, and fear that an effective online strategy will prove very expensive. As a result they have typically done very little online, or perhaps put up a website that is generating very little in the way of traffic and leads. At Spancept we work with you to understand what you want from the internet and help you build an affordable online strategy that brings you quality leads consistently. Spancept’s vision is to be a company of choice that small to medium enterprises (SMEs) look to for innovative, sustainable and sensible solutions that support their business at each level, and provides a solid foundation for growth. As Co-founder and Co-CEO of Spancept, Chow Mah helps small to medium size business owners utilize the internet as a tool in attracting new customers. He develops concepts and strategies unique to each individual business type in order to encourage genuine growth. This is just one aspect of marketing in which Chow excels. 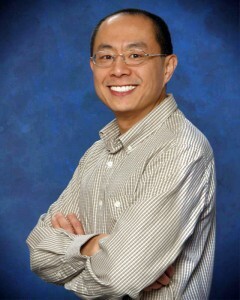 With more than 20 years of professional experience, a Bachelor of Science in Computer Information Systems, a Bachelor of Business Operations, and also a Graduate Certificate in Project Management; Chow is more than qualified to develop ideal business solutions in just about every industry. 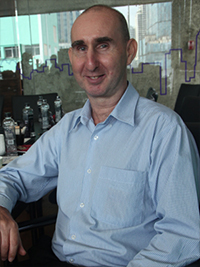 Born and raised in the UK, Robert Leisk is a consultant with more than 35 years experience in sales and marketing. From purchasing to franchising, recruitment and the development of programs, he has done it all. Robert even received special teachings from His Holiness the Dalai Lama along the way. Currently residing in Thailand, the former monk has Co-founded and is Co-CEO of Spancept a company which helps small to medium business owners maximize the growth potential that exists within use of the internet. He is also passionate about developing food programs that serve to help the poor. With such diversity in his background and experiences, Robert is capable of bringing balance to any type of business. She started her career in Studio & Entertainment industry at the mere age of 16, doing photography, videography, photo and video editing. She had acquired knowledge, confidence and determination that had nourished for the past years. After this role, she worked on BPO Company where she develops concepts, creative ideas and timeless designs. 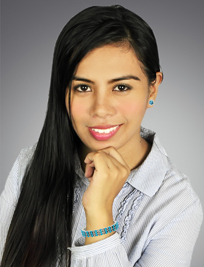 Proven 8 years Background in Graphics and Art Designing and a successful Executive Assistant of Spancept. Solid record of accomplishment designing will help you boost more your marketing campaign and be noticeable wherever you GO!